KINGAROY shoppers were the first to taste Picky Picky Peanuts' latest series of nutty innovations this week. Among those on offer to Woolworths customers in the peanut capital was the Mitey Aussie Nuts product, featuring an Aussie staple - Vegemite. The new Vegemite-flavoured product is now available in a number of Queensland Woolworths stores. 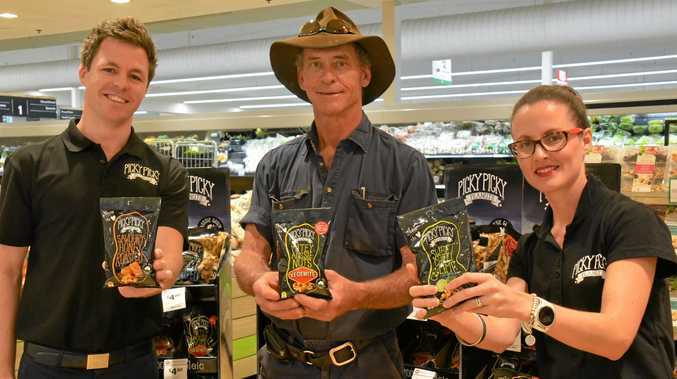 The collaboration combines peanuts, a plant-based protein, with Vegemite, one of the world's richest-known source of vitamin B.
Picky Picky Peanuts representatives and PCA farmers gave out samples of the new creations to Kingaroy shoppers on Thursday as part of the nutty launch. Kumbia farmer Julian Cross, who supplies nuts for PCA, said it was wonderful to make connections with the consumers and tell them about the latest innovations and where the nuts had come from. "We try to get the product out there and get the people to know that we've got the best peanut in the world,” Mr Cross said. Picky Picky Peanuts launched two other products this week to meet the growing demand, including the famous In Shell Salted peanuts in a 300g pack, and a four-pack of the company's number-one seller, Sweet Chilli and Lime. Mr Cross said his favourite was the In Shell Salted. 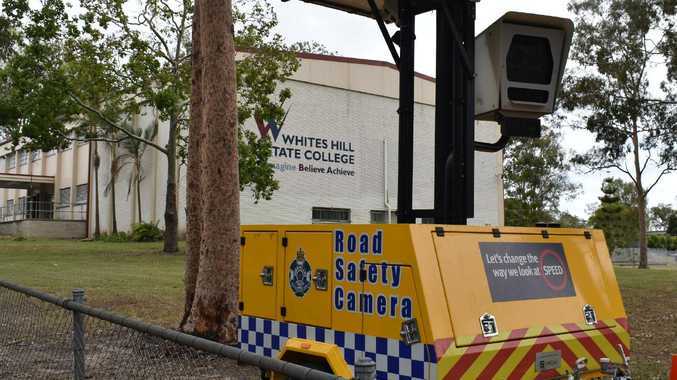 "They've been around for a little while, but they are absolutely brilliant,” he said. Bega Foods general manager Adam McNamara said Bega's recent purchase of PCA, the owner of Picky Picky Peanuts, would help the peanut offering grow. .
"Bega is the proud owner of PCA and through that ownership, we believe we can help re-invigorate the Picky Picky Peanuts brand by providing greater opportunity for innovation and brand collaborations,” Mr McNamara said. PCA is based in Kingaroy and works directly with Queensland peanut farmers. It is the nation's largest processor and supplier of hi-oleic peanuts and aims to grow the local supply over the next five years. "We are so excited to give Queenslanders the first taste of Mitey Aussie Nuts, after all, it is the original home of the Aussie peanut,” Mr McNamara said. The new peanut creations will be on special at Kingaroy Woolworths for $4 until October 30, and will sell for $4.80 after the special ends. The full range of newly released Picky Picky varieties will be available in IGA nationally from November, and available online now at www.pickypicky.com.au/store.